I loved this book and can't wait to read Vanish. 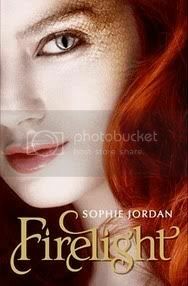 Sophie Jordan sold the movie rights to this so we all soon be able to see what Draki look like! Keep hearing mixed reviews on this one! Makes it really difficult for me to make a decision on it! My TBR pile is rather tall so I keep putting off getting it. Maybe I should actually try the library! Honestly haven't done that in years! Great review though! Definitely weighs a little more on the positive side now! I've seen this around but hadn't yet read a review yet, it sounds great - yet another one for my list!